Hey!!! It is Melissa from M Miranda Creations and I am excited to be sharing another project with you today. 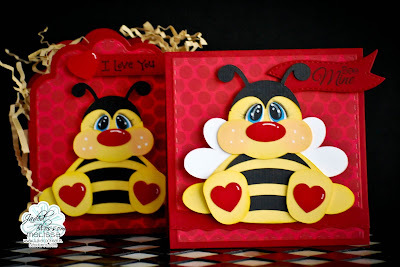 I am still in Valentine's Day mode and I love how today's project turned out! I hope you enjoy it too! I made a matching card, treat box, and gift card holder all using lots of Jaded Blossom goodness and the adorable Stuffy Pals Bee SVG file from Treasure Box Designs. 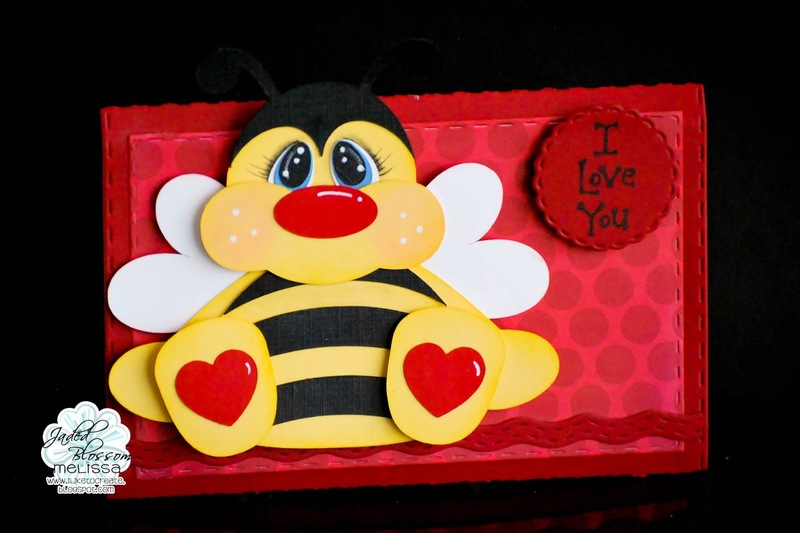 For the card, I cut a card base at 4.25" square and then die cut the same patterned paper using the Stitched Square Dies. 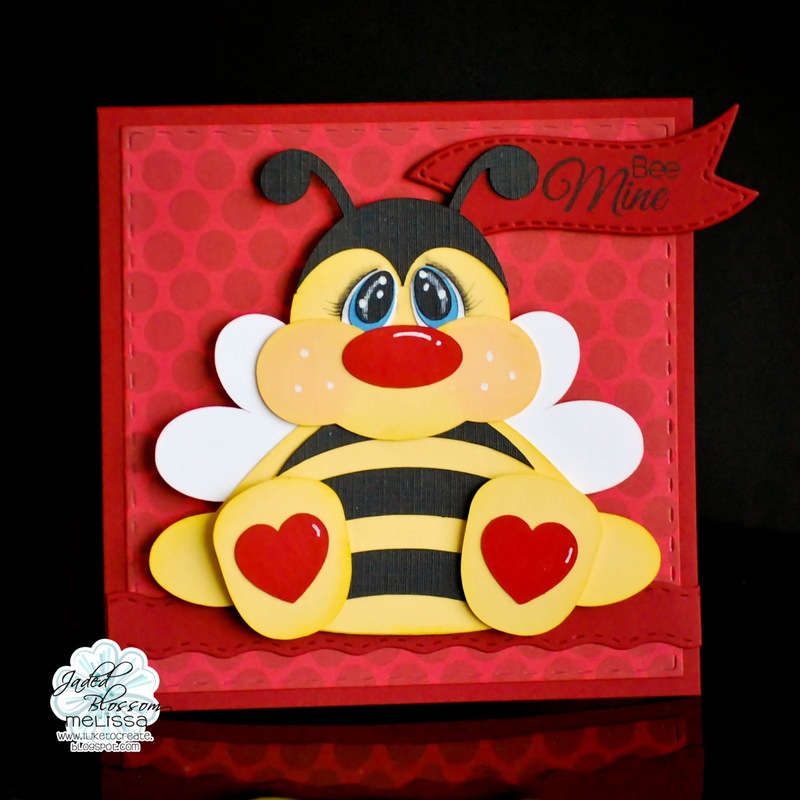 I added a wider border along the bottom of the card from the Border Dies and then used pop dots again for my bee. The sentiment here is from Simple Sayings Valentine Edition and was stamped on a banner from Mini Tag Dies 2. For the sentiment, I actually added an extra "e" to make Bee to fit the theme of my project. And for the treat box, I used the Scallop Caddy Die with the same background paper. Again I added a border from the Border Dies. Added my bee with pop dots. I then used the Superstar stamp set again for the sentiment that I stamped onto another banner from Mini Tag Dies 2. 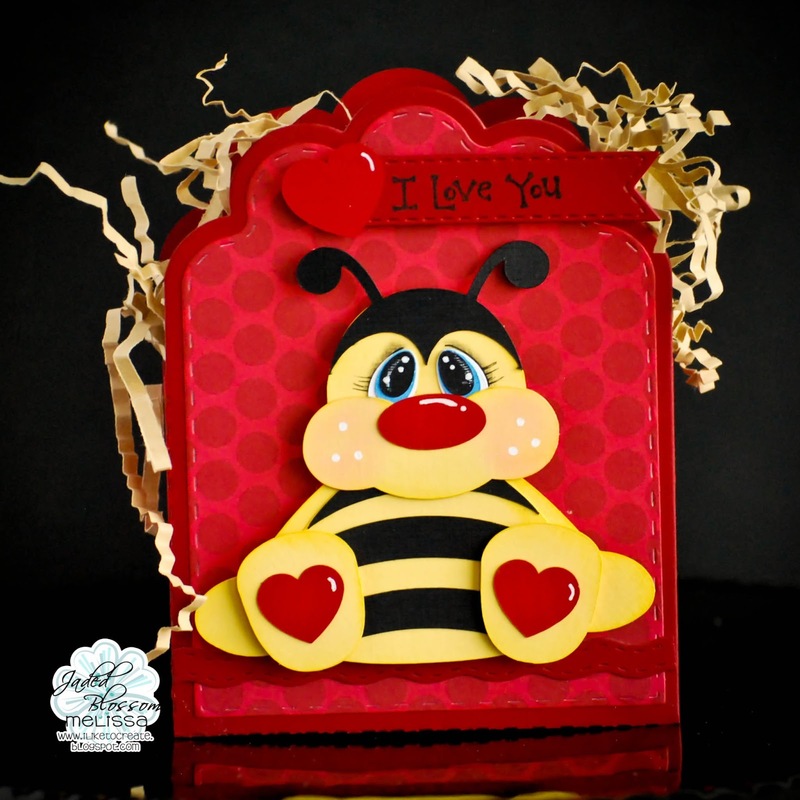 I also cut an extra heart from the Stuffy Pals Bee file and attached it to the sentiment banner. I just love the way the Jaded Blossom Dies and Stamps all work together to make super fun projects! Please be sure to share all your Jaded Blossom projects in the JB Garden of Creativity FB group.